Acquired by 24SevenOffice.com (24Seven Technology Group ASA) in 2005. 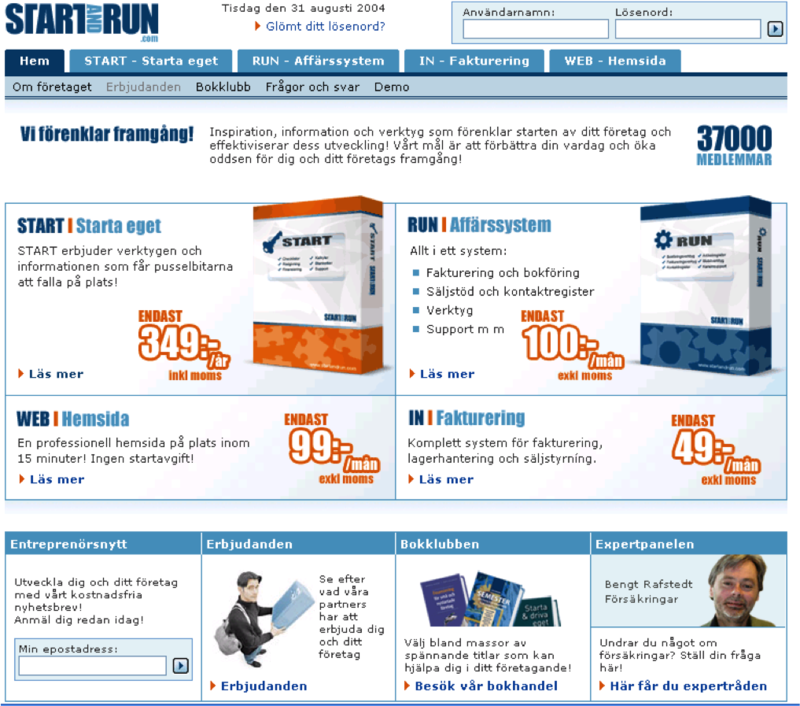 Startandrun.com offered tools and services to entrepreneurs and small companies. The primary tools were browser based softwares for Invoicing and Accounting (Software As A Service, SAAS). PunktB acquired a major part of the company in 2003 from Ledstiernan AB and ran the company together with its Founder and NewMedia SPARK plc.